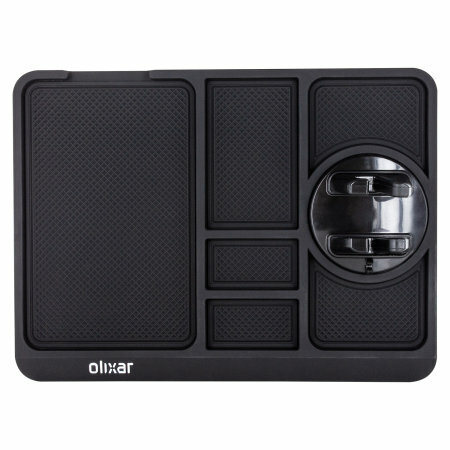 The Olixar Non-Slip Sticky Dashboard Mat provides your smartphone with a secure resting place on your car's dashboard and can also be used to hold keys, change and many other items, without leaving any residue behind. This mat fits nicely on my dash board and doesn't move at all. My phone is in a great position for Sat nav use and I keep my sunglasses on the mat as well. Brilliant way to hold phone very pleased with it. This is in my opinion the best dashboard mat and phone holder on the market as it holds so much without any slipping or sliding. The price is excellent, especially the BOGOF offer made it even better. 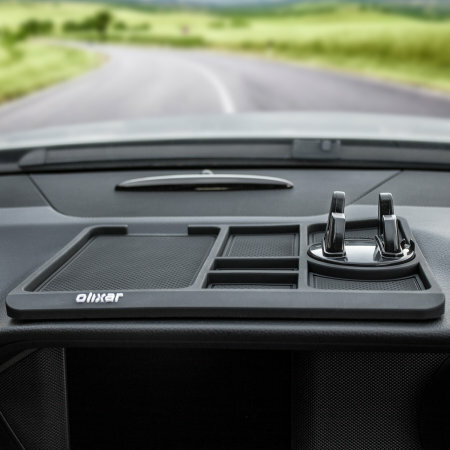 The Sticky Dashboard Mat is constructed from a innovative silicone material which is designed to securely hold your items onto your car dashboard and prevents them from being able to slip off. 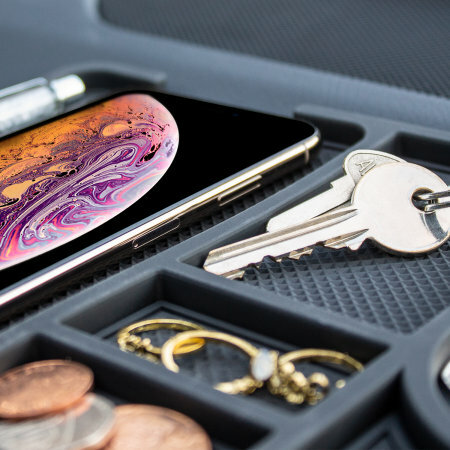 This allows the Sticky Dashboard Mat to securely hold your smartphone, loose change, glasses and much more on your dashboard without having to worry about them falling off and becoming lost or damaged. 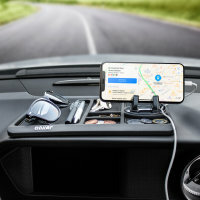 The Sticky Dashboard Mat features an integrated universal phone stand, which allows you to hold your smartphone in a horizontal or portrait orientation securely on your dashboard. By doing this, you can still use your device for Sat Nav applications and drive safely. With a universal design, the stand is compatible with even the largest of devices such as the iPhone XS Max and Samsung Galaxy Note 9. 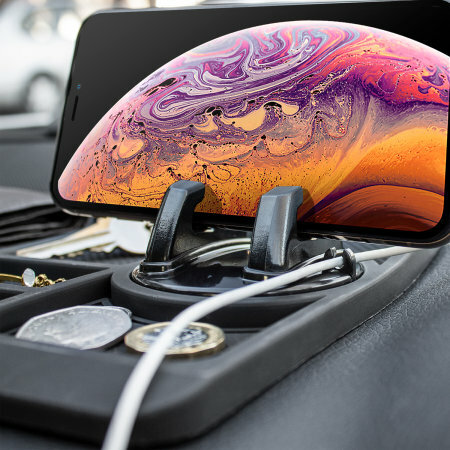 Additionally the stand can rotate 360 degrees to provide a comfortable viewing angle, whilst also incorporating a cable management clip to ensure your charging cable avoids becoming tangled within your car. 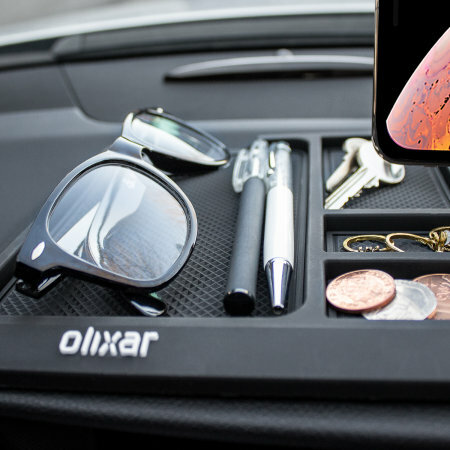 Featuring six textured sections, the dash mat is also great for holding your keys, coins, glasses and any other loose items you may have in the car. In addition, the larger section will also accommodate your smartphone, making it ideal for securing a second phone or as an alternative to the integrated phone stand. The special silicone material which the mat is made from is designed so that it creates a secure bond with your car dashboard which prevents it from being able to slip, or come loose, whilst you're driving around. 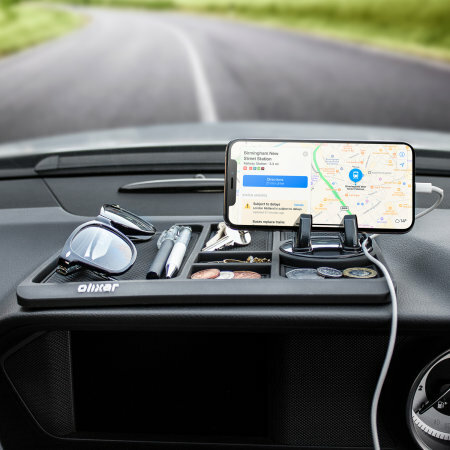 The mat maintains a secure hold to your dashboard even around tight corners and speed bumps to ensure that it won't drop your smartphone or other accessories and risk them becoming damaged. The silicone material is also extremely flexible which allows it to bend around the contours of your dashboard and provides a firm and secure grip even when you're placing larger handsets onto the mat. The flexible properties make it perfect for securing your device at even the most acutest angles and ensures that it won't come loose. Dust and dirt can build up on the Sticky Dashboard Mat over time which will cause it to lose some of its adhesive properties. In order to restore the mat to its previous glory simply wash the pad under the tap with cold water and allow it to dry naturally. Once it's dried out, the sticky properties will be restored to that of the day you bought it.